All May Books are bound together by the all-famous, old school sewing machine. Not only is the thread fabulous for the environment, but the book becomes utterly indestructible. No pages ripping out, covers falling off... 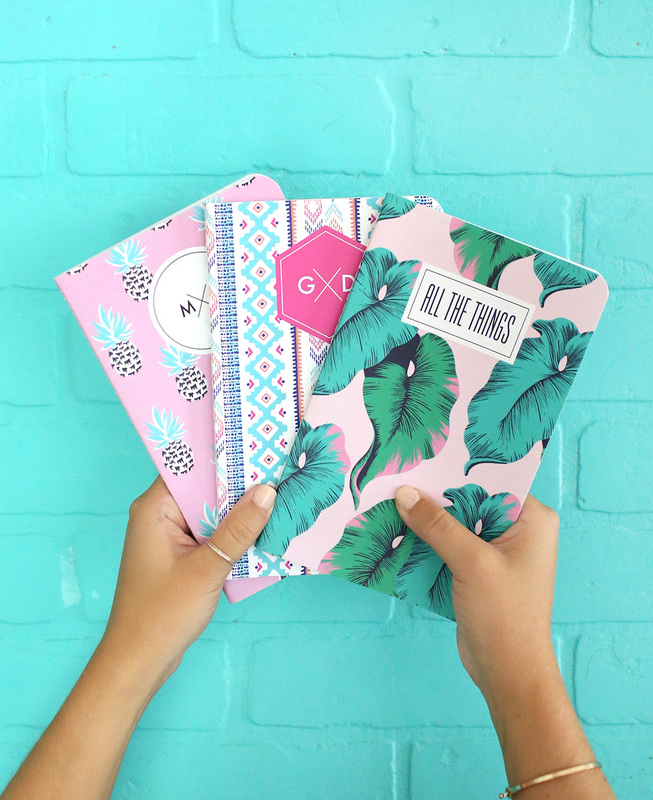 Believe us, we have tested notebooks. Great binding keeps you out of bad stitch (uations). Our covers are resilient, durable and water-resistant. After a few days of use, the canvas paper becomes like the perfect pair of worn-in jeans. We worked to completely make a custom canvas paper that is completely unique to May Designs - you cannot find it on any other stationery products in the world. 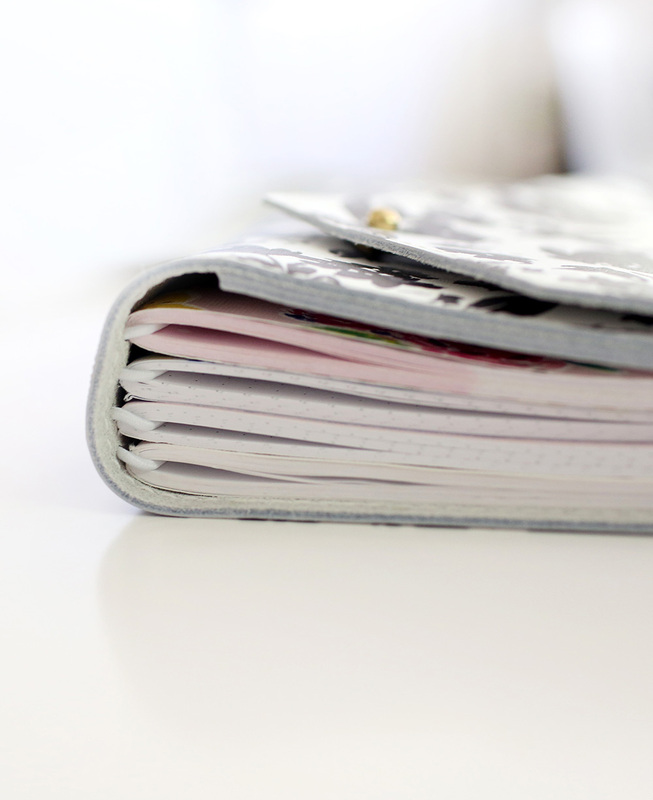 Made from part post-consumer waste recycled paper, these covers are the perfect way to embrace paper while staying green. 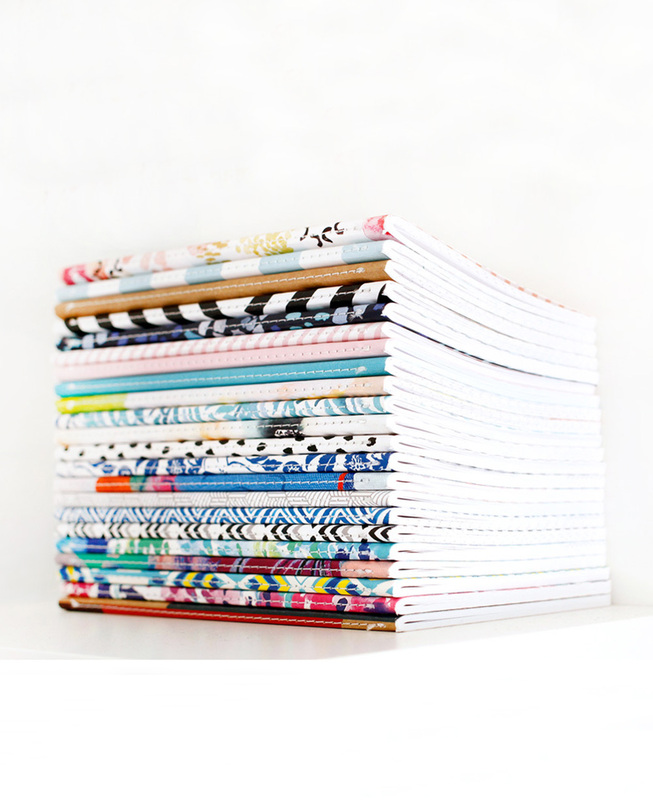 Our books are all hand-made by a bunch of awesome friends, right here in the United States. We have an unbelievable team that hand stitches each notebook! Click here to check out a video Mica captured of the sewing machines in action during one of her first trips to our printing facility in 2012! In addition, our new leather folios are also hand-made in the USA by an amazing group of talented leather crafters who turn natural hides into the awesome folios you know and love! Check out a video of the process here.